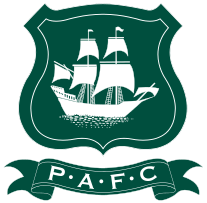 PLYMOUTH Argyle Ladies have end the year by announcing a new major signing. Versatile utility player Leah Burridge has joined the Pilgrims from Women’s Super League side Yeovil Town. Burridge, who comes from Uffculme in Devon, came through the Somerset FA system before spending three years at Yeovil. Burridge helped the Grecians reach women’s top flight and has featured in the Super League. However, under new Yeovil manager Lee Burch, Burridge found it difficult to hold down a regular first team slot so has decided to move clubs. Burridge, who was a non-contract player at Yeovil, contacted Argyle a couple of weeks ago saying she looking for a new club and was invited down to Plymouth. And the Argyle management team of Dave Leonard and Trevor Rodd have seen her potential and she signed for the club this week. Burridge will be joining former team-mates, Helen Bleazard, Jessica Jones and Lindsay Rogers at the Pilgrims. Burridge’s arrival coincided with the departure of Becca Wakley. Defender Wakley, along with Steph Beck, joined Argyle from Torquay United but has struggled of late with a hamstring injury. She also felt that she struggled to commit to travelling for training. Argyle’s National League Cup match against Watford fell foul of the weather last week and their next match will be on Sunday, January 6 when they travel to high-flying Chichester City. Meanwhile, popular midfielder Kayleigh Brown, who suffered an ACL injury against St Agnes in September, came through a successful operation on her knee on Wednesday.